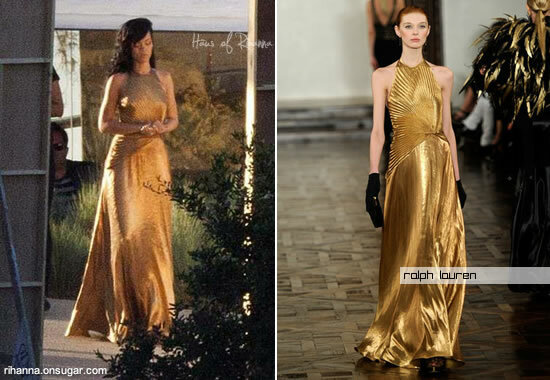 Rihanna was spotted in a gold Ralph Lauren gown from the Fall 2012 collection during a recent photoshoot for Harper’s Bazaar magazine. She was also seen wearing a white dress from Calvin Klein Collection. This will be Rihanna’s first Harper’s cover.